Kev Brown (b. Kevin Brown, 1976) is an American hip hop producer hailing from Landover, Maryland, United States. He is a member of the Washington D.C. based hip hop collective, Low Budget. Kev Brown made his debut as a featured artist on Marley Marl's BBE Beat Generation series instalment Re-Entry (2001). 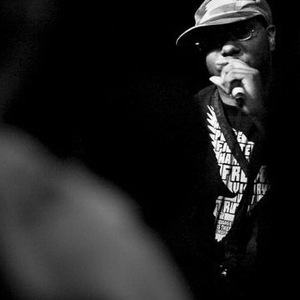 His guest appearance alongside Grap Luva left an impression on the underground and he subsequently contributed a track to De La Soul's AOI: Bionix later that year. Kev Brown made his debut as a featured artist on Marley Marl's BBE Beat Generation series instalment Re-Entry (2001). His guest appearance alongside Grap Luva left an impression on the underground and he subsequently contributed a track to De La Soul's AOI: Bionix later that year. Kev Brown continued to build his resume with contributions to DJ Jazzy Jeff's The Magnificent (2002). As a then-member of Jazzy Jeff's production-for-hire unit A Touch Of Jazz, Brown contributed no less than 7 tracks to the project yet it wasn't until his remix of Jay-Z's The Black Album, aptly titled The Brown Album was released in January, 2004 that he began to receive recognition. As the first producer to do so (to date there are more than 100 submitted remixes of the project), Brown made use of Jay-Z's starpower and commercial appeal. Although his time in the spotlight was somewhat overshadowed by DJ Danger Mouse's The Grey Album (2004), a remix project of the same album noticeable for its use of The Beatles' White Album (1968) as a soundbed for Jay-Z acapellas, Kev Brown was nevertheless able to garner enough of a following to embark on a solo career. After numerous productions and collaborations with artists throughout 2003 and 2004, Brown made his debut in 2005 with I Do What I Do through the independent Up Above imprint. The single, "Life's A Gamble", followed in late 2005. Kev Brown is currently working with Freddie Foxxx on a full-length project.